Close your eyes and picture the near perfect living environment—-away from the hustle and bustle of bigger cities and nestled on the high plain of the Sierra Nevada mountains. Life here revolves around a temperate climate, with the picturesque mountains of Lake Tahoe in the distance, but very little snow on the ground. 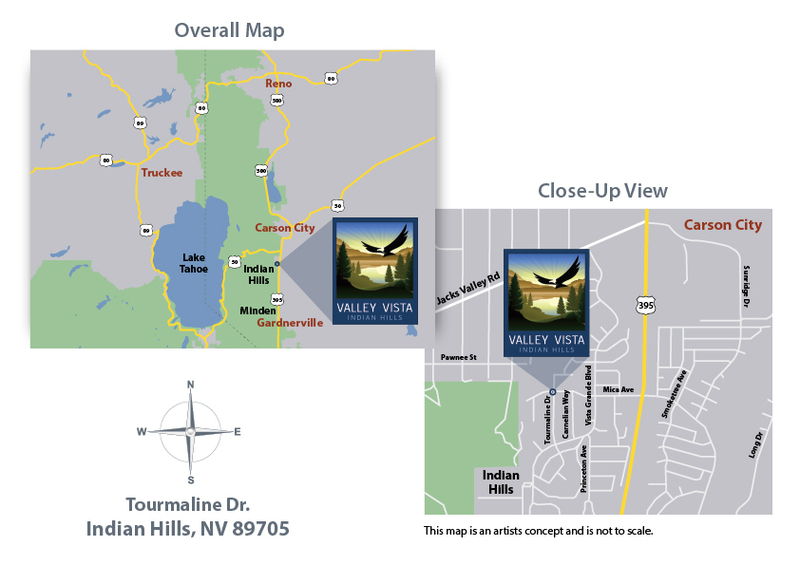 This is Valley Vista, a 36 home community in Carson City, Nevada’s state capital. Residents of Nevada enjoy no state tax and low local taxes as well. Choose from one of Florsheim Homes’ four distinctive floorplans with mountain style exteriors, and dynamic interiors. 3 & 4 bedroom plans are planning to be built in 2020. Interest List now forming, so click “Contact Us” to be included.